This is a picture of the book that started it all. One of the manuscripts above – perhaps the big red one – has been bringing visitors to Santiago de Compostela for a millennium. 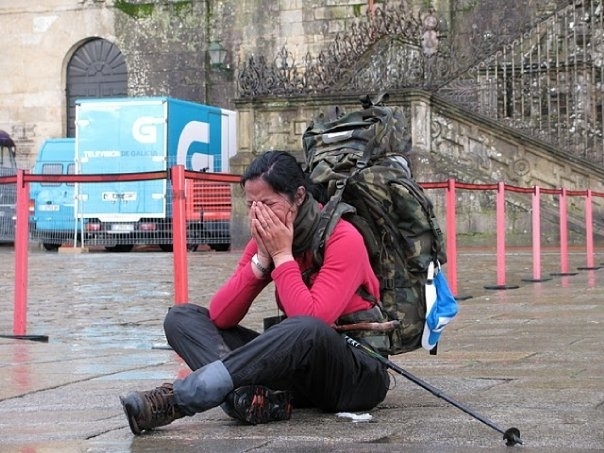 One of the most important cultural treasures in the last thousand years, this document has brought millions of people – and dollars – to Santiago de Compostela. It is Europe’s first Michelin guide. It contains the litany of St. James’ Spanish miracles. And, on top of everything else, within its pages is the world’s first written record of musical polyphony. To find out why we are looking at a priceless document in this basement hovel, start here. Then go here. This is the first in a multi-part series about the history of the Codex Calixtinus, its contents, and how it shaped the Camino we know today.